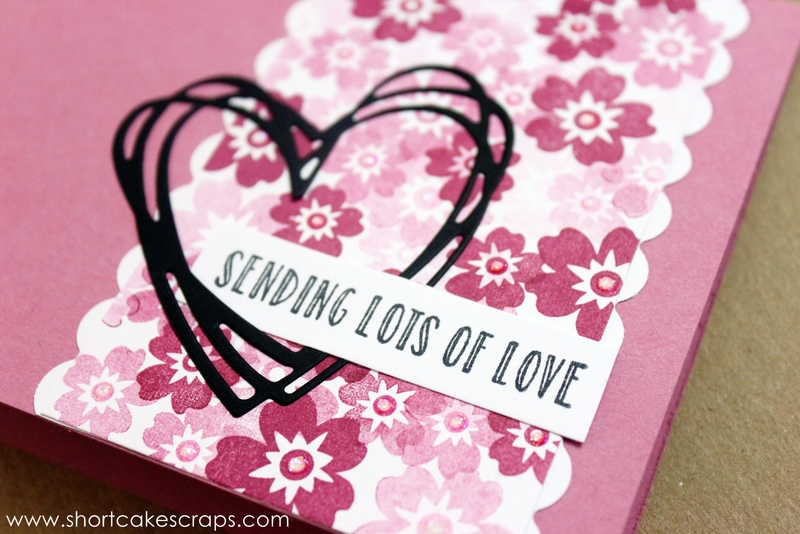 With Valentine’s day around the corner, I’ve been pulling out all of our love and heart themed stamps and ink pads to create cards. Here are a couple of examples of designs that were created using a particular Stampin’ Up! ink pad color: berry burst.